We are here to help!We will pick you up or drop you off in the Markham, Scarborough, Richmond Hill, or North York neighbourhoods. That includes trips to either the local TTC Subway Stations, Bus Stops or Go Train Stations! 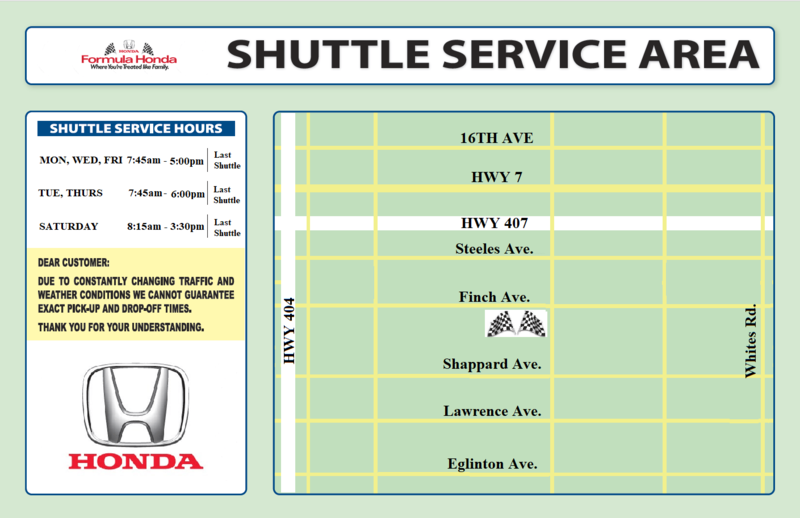 If at any point you or a family member are stranded in the surrounding area during our shuttle service business hours, please give us a call. Formula Honda would be happy to come and pick you up: because you matter to us!